Coastal-FMC or Coastal Fuel Marketing Corporation is a business operated and owned under private ownership. They are highly effective to met various challenges of the markets of modern era and even undertake initiatives to offer alternative fuel requirements of the countries of Midwest. They offer latest product service and uninterrupted supply of fuel in most economic manner. 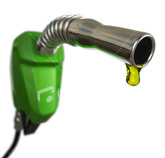 Their effective alternative fuel ideas yield effective money saving results. Among notable alternative fuels, the company trades in ethanol and bio-diesel. They are marketing ethanol of best quality for over 30 years across the countries. They are also highly effective to produce bio-diesel from rapeseed, soybean, animal fat, palm methyl and others. There are currently 0 consumer reviews about Coastal-FMC available. Share your review. Please take a note that you are about to post a public review about Coastal-FMC corporate office on CorporateOffice.com. This review will be public, so please do not post any of your personal information on this website. If you would like to contact the corporate offices of Coastal-FMC, please use their contact information such as their phone number, website, and address listed above to contact them. However, sometimes staff from Coastal-FMC headquarters do read the reviews on this website.